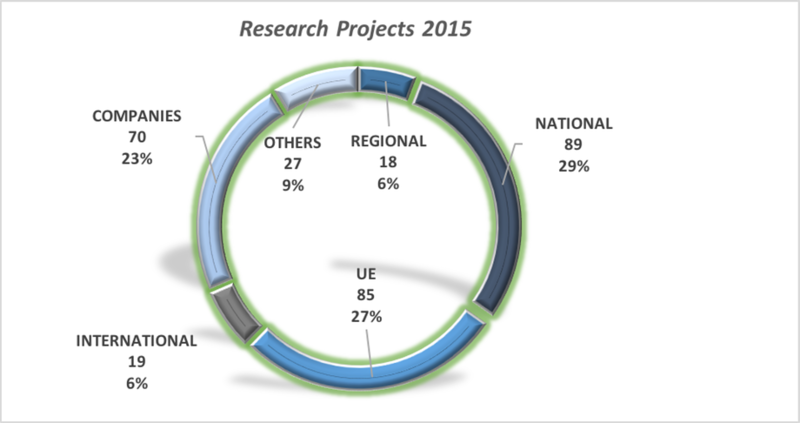 In 2015 the IMDEA Institutes worked on almost 300 research projects. 33% were funded by international funds (27% from the European Union). 23% were funded by businesses. 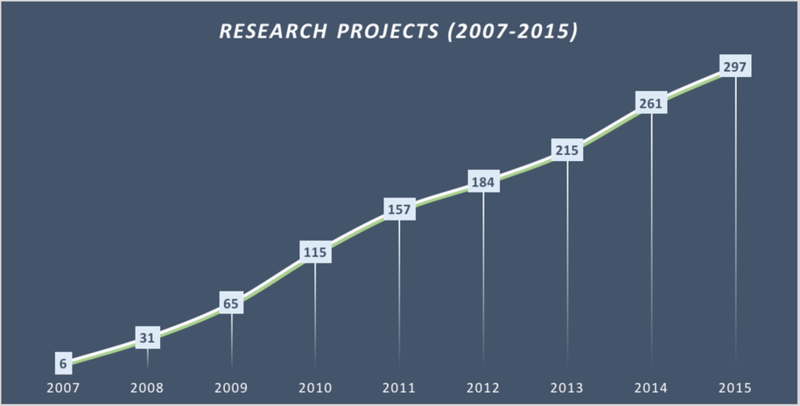 Between 2007 and 2015 the number of projects has not stopped growing. In the last five years it has done so with an annual average of 21%.